It’s been hot as… well, something that’s really hot. It’s been too hot to really think. And it’s definitely been too hot to knit. Seattle doesn’t usually get more than a day or two of hot weather in the summer. (I’m talking actual hot weather, not “Seattle Hot” where it gets to 75 degrees and everyone whines.) But this year, we’ve had a couple weeks of upper 80s/low 90s, which is real miserable. No one has air conditioning around here, and in the places that do (like the mall), it’s pretty disappointing. So I’ve set my big blue sweater aside for the time being. As lovely as it is, I’m not interested in sitting with a gigantic pile of wool on my lap. No thank you. Instead, I went diving into my craft room stash for something a little more seasonally-appropriate to do. 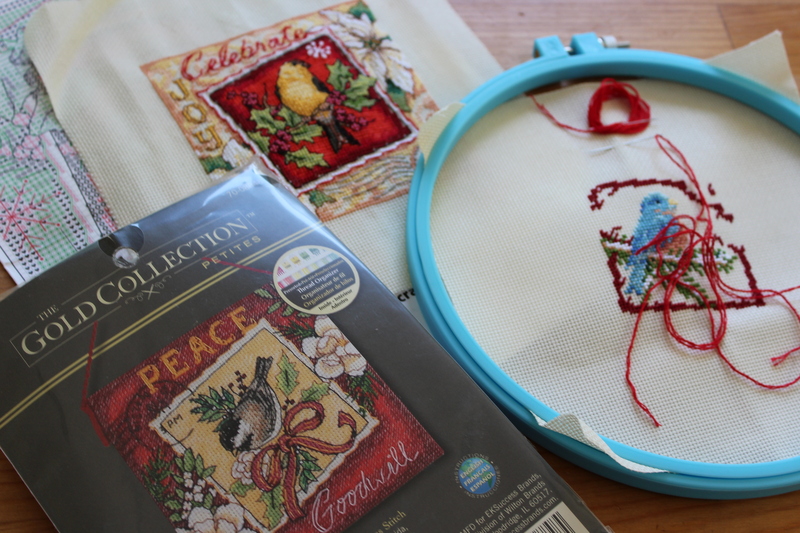 At some point, I must have been on a cross-stitching jag, and I bought three little cross stitch kits. They’re cute little Christmas-y birds (that are inexplicably postage-themed?). A goldfinch, a bluebird and a chickadee. I had already started the goldfinch- the “stamp” part was mostly done when I pulled it out the other day. (I honestly have no memory of working on this cross stitch- I must have started it years ago!) A couple days of work, and voila! I’m working on the bluebird now. 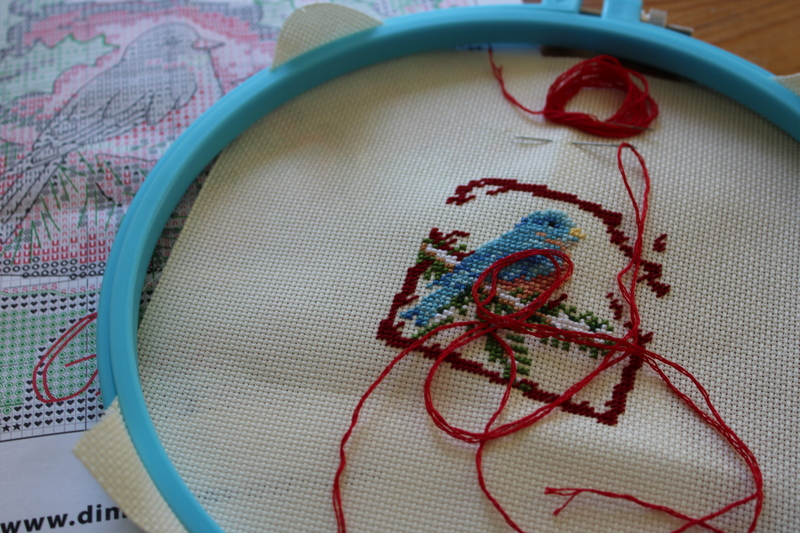 I’ve already messed up the head, but I don’t think it’s terribly noticeable, so I decided not to unpick the problematic stitches- he’s just a slightly chubbier-than-normal bluebird. The birds are supposed to be made into little ornaments, but I’m not sure if that’s what I’ll do with them. Maybe they’ll end up being part of a wall hanging quilt, or sewn into little pillows. I suppose I should finish them before I go planning next steps. What do you do when it’s too hot to knit? 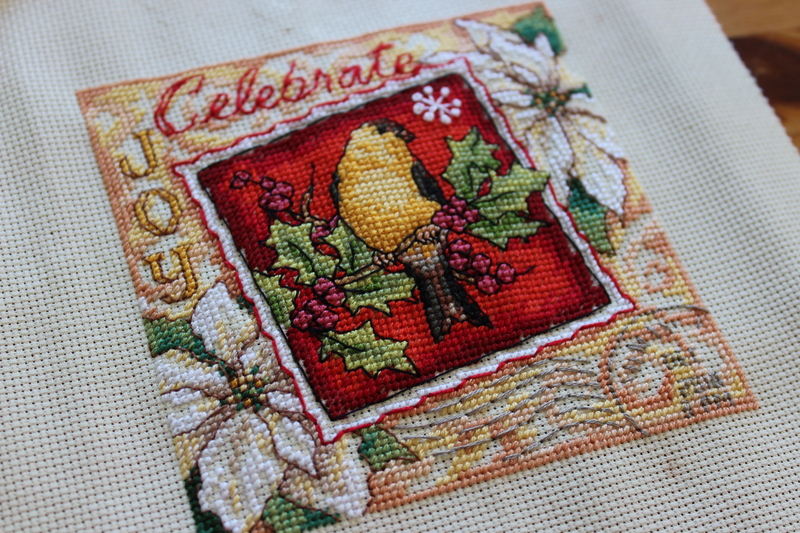 This entry was posted in On My Needles and tagged bird, christmas, cross stitch, sewing on August 27, 2018 by onemilljellybeans. Other than knitting, I think my favorite hobby is baking. I love making cakes and cookies, pies and buns. The more complicated the better. Last year I even made a dozen mini fruitcakes for my family for Christmas. It involved a lot of baking, about 5 pounds of dried fruit and a whole bottle of brandy. I even had a cookie baking blog back in the day. I definitely love baking. 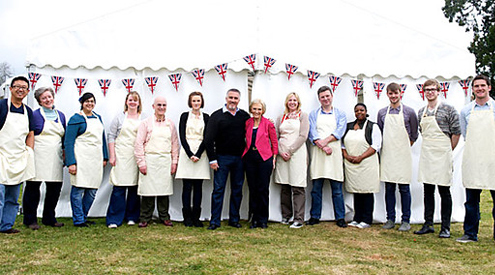 So naturally, one of my favorite shows is the Great British Bake Show (or Great British Bake Off, if you’re outside of the USA). The contestants are all so talented! I had been baking up a storm (pre-baby and pre-middle-of-summer-without-air-conditioning), making Victoria Sandwiches, Tea Cakes, and Swiss Rolls. My husband has been working to perfect his Kouign Amann technique (which I’m happy to help him test). And this season (Season 5 if you go by PBS, Season 3 if you go by the original BBC order), there’s something that makes Bake Show even better! That’s right… you guessed it… Sweaters! Precisely, sweaters worn by one particular contestant and resident of the Shetland Isles, James! 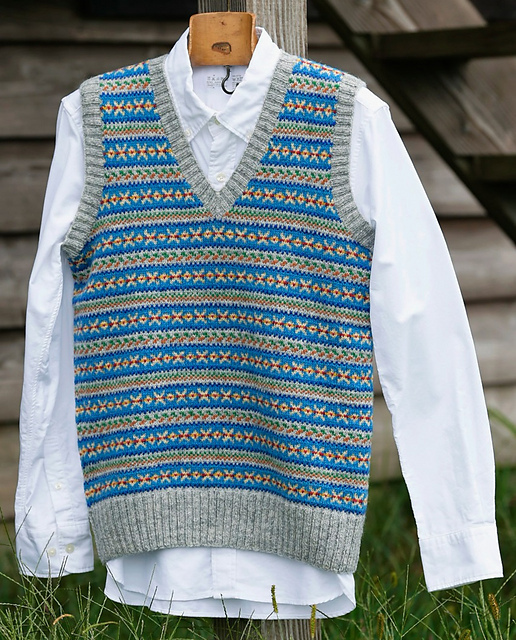 Every week he rolls up to the tent with yet another gorgeous Fair Isle sweater, vest, or cardigan. I look forward to his knitwear almost more than the baking! 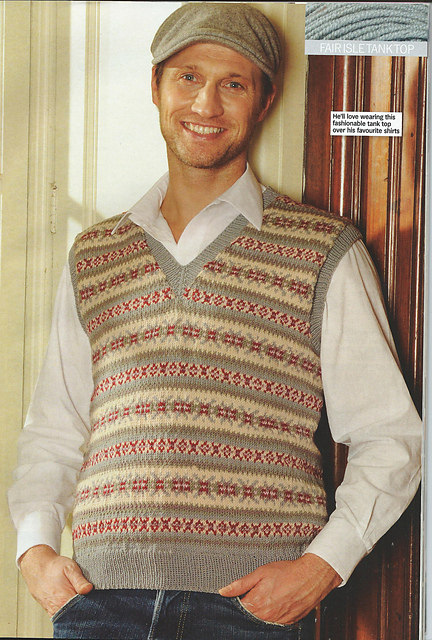 And in the spirit of James, let’s look at some amazing, full-on Fair Isle vests! I love the neutral palette of this sweater, and the classic shape. I could totally see wearing this to go compete in the tent! Edward by Rita Taylor This one is a little more modern, a little brighter, and a little more my style. I like the slimmer cut and bright color choices. 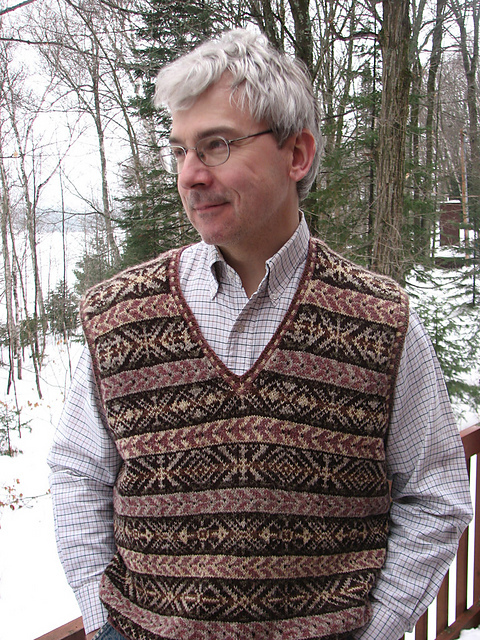 Fair Isle Vest WG 54 (aka April in Wisconsin aka Traditions) by Meg Swansen Do you watch GBBO? What’s your favorite baked good? This entry was posted in Inspiration and tagged bake off, baking, fair isle, great british bake off, great british baking show, james, sweater on August 20, 2018 by onemilljellybeans. Look at this wrap! That’s an impressive amount of cables. Definitely something I’d make- I mean, come on! 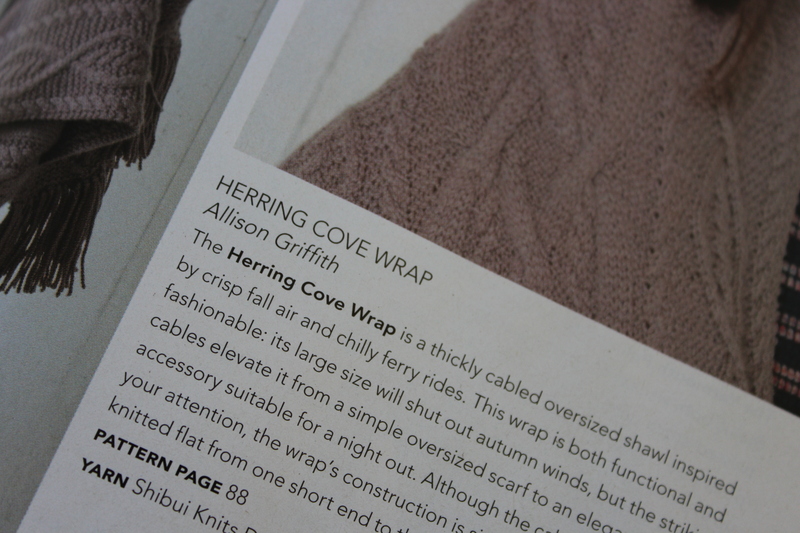 It’s a massive wrap covered all over with intricate, squooshy cables. Yes please. Oh, wait just a second… look! That’s right! 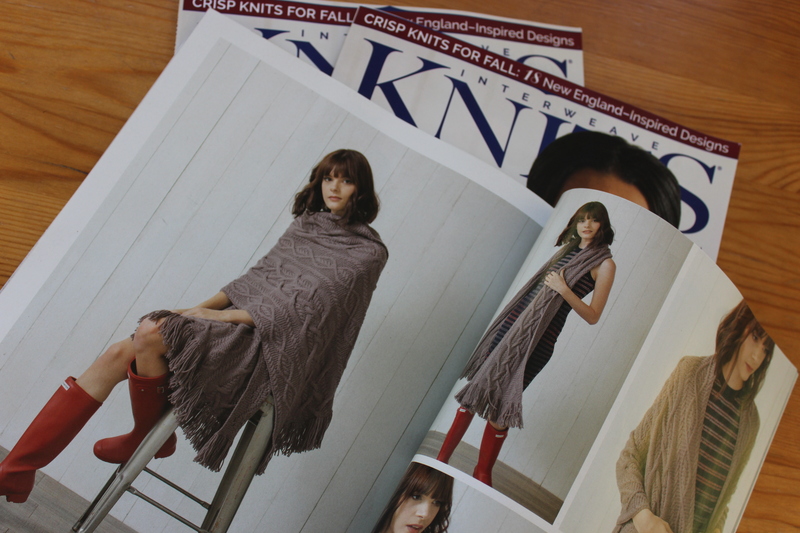 I’ve got a pattern in Interweave Knits! And now I’m one of them! Hot dog! You can order a copy of the magazine (online or paper) here. Or, take a trip to wherever magazines are sold! 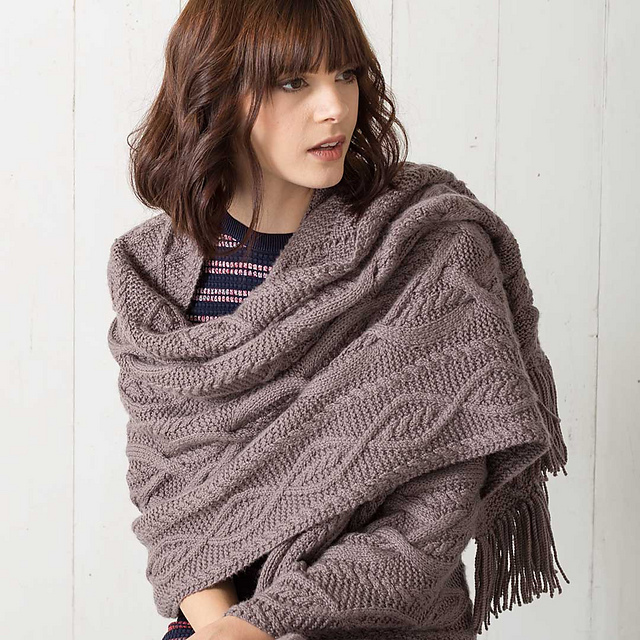 This entry was posted in Patterns and tagged cable, herring cove, herring cove wrap, interweave, interweave knits, interweave knits 2018, knitting, knitting pattern, pattern, shawl, wrap on August 13, 2018 by onemilljellybeans. I’m making headway on my Provincial Tweed sweater. But, I’m still not exactly sure what I’m doing. I think I’ve committed to the “straight, tunic-length, and with an asymmetrical hem” option, but I honestly haven’t really spent that much time thinking about it. This project has turned into my “I just put the baby down, so I might have 5 minutes or I might have an hour” knitting. It’s been great to have such a simple project to pick up and put down at will. No counting, no worrying about patterns, not even any dpns to lose in-between the couch cushions. Just lots and lots of knit stitch. About 10 inches of it so far. I know I’ll have to come up with some more concrete plans down the road, but for now, I’m enjoying just cruising along. I suppose when it gets long enough, I might start doing some ribbing. Or maybe start working flat to create a split hem. 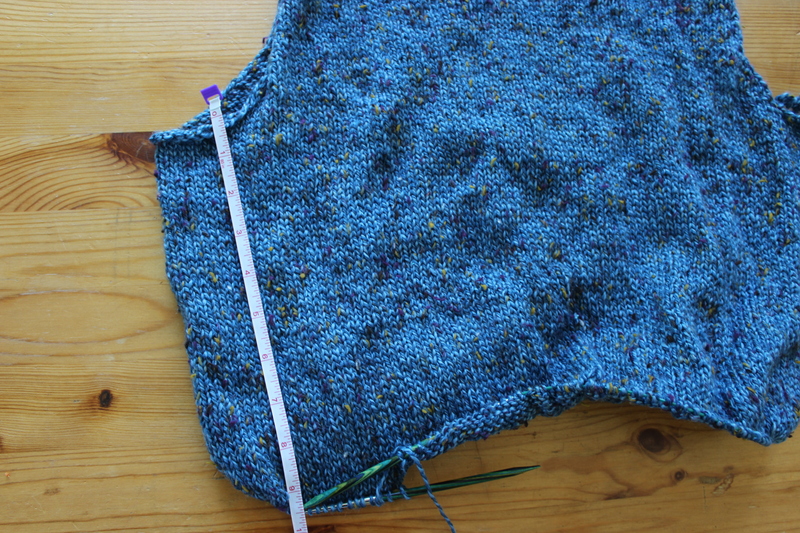 Do you ever keep a super-mindless project on your needles? 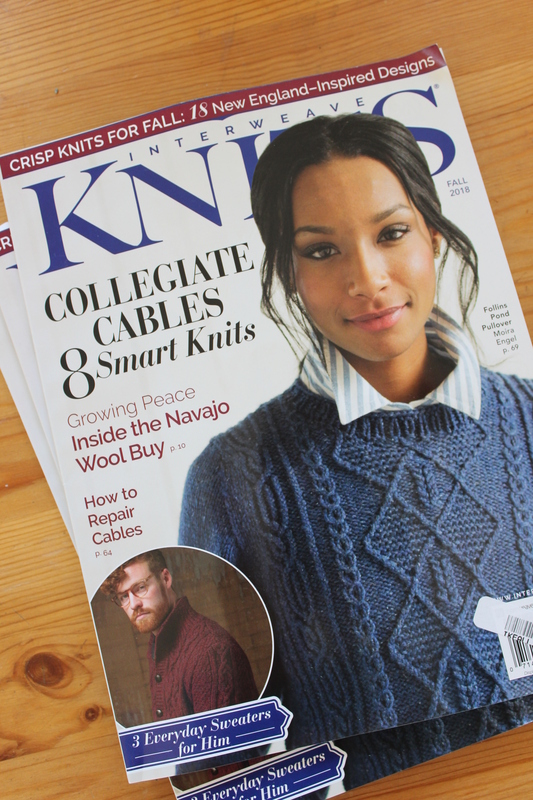 This entry was posted in On My Needles and tagged knit picks, knitting, provincial tweed, pullover, sweater on August 6, 2018 by onemilljellybeans.